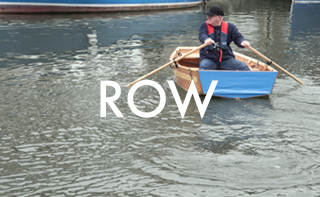 There are 3 models to choose from and each can be supplied in row, motor, or sail versions. 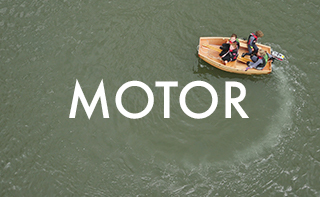 That gives 9 variations and with optional extras you can create the ideal boat for your needs. Want to upgrade your existing Seahopper? The Scamp is our smallest boat in the fleet. Just over 2 metres long, the Scamp is ideal as a tender for smaller yachts and can be stored folded against a guard rail, or on the coachroof, folded or possibly un-folded if there is sufficient storage. It is also a great first boat, very keenly priced. The Scamp will safely carry 3 people with luggage whilst being rowed or motored. 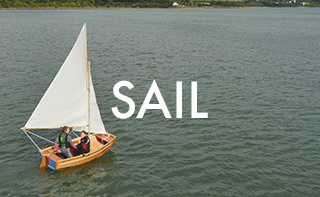 Scamp will provide a great sailing experience for 2 people. The Lighter is the mid-range boat. Again great as a tender, this model is also great for exploring estuaries and close to shore sailing. It also serves as a great boat for lake or river fishing. At 2.4 metres the Lighter has a greater carrying capacity for extra luggage – hence the name! Great for a family picnic at a secluded spot on the estuary, or island in the middle of your favourite lake. It carries 4 people very comfortably with luggage when rowed or motored. The Lighter provides safe and enjoyable sailing for a crew of 2. The Kondor is the flagship of the fleet. At just over 3 metres she has more space and comfort for the crew of 4 whilst rowing or motoring, and will excite the crew of 2 under sail. Load her up for a camping trip or get involved in a little dinghy racing.The Kondor will perform safely and impressively in river, lakes and estuaries and close to shore. You have the option to order your Seahopper boat with a 50% deposit. After the boat has been built (usually 8 to 10 weeks) we will ask for the remaining balance before shipping.